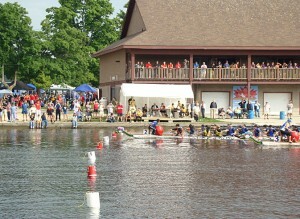 The Carleton Place Dragon Boat Festival is an annual race that takes place in Carleton Place. Since the festival inception in 2002, the Festival has raised over $55,500 which has been donated to local organizations. Get involved in the ultimate team sport, while helping local charities! Visit Riverside Park over the lunch hour for entertainment and a variety of food and drink. There is a full view of the entire length of the race course as well as merchandise for sale. Contact them via email at admin@fall400.com for general inquiries. For team registration inquiries email at register@fall400.com.